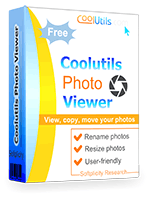 Coolutils Photo Viewer is a great free program to view and transfer photos from any camera to computer. Just insert your SD card into the computer or plug your camera directly to USB and preview all your photos and videos in seconds. Tick those that you like and drag and drop them to your hard drive. 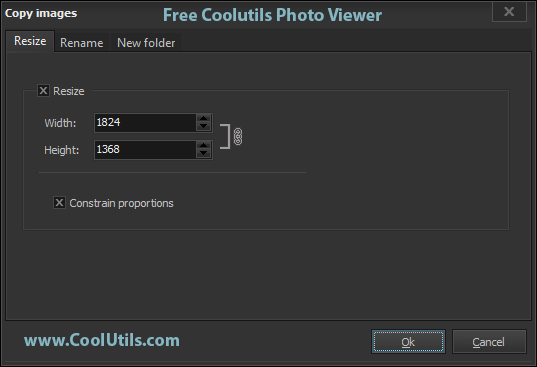 Cooutils Photo Viewer supports camera RAW files as well as BMP, JPEG, JPEG 2000, GIF, PNG, PCX, TIFF, WMF, ICO, TGA. The program's interface has a touch of style. You can adjust the size of thumbnails or go to full-screen view. 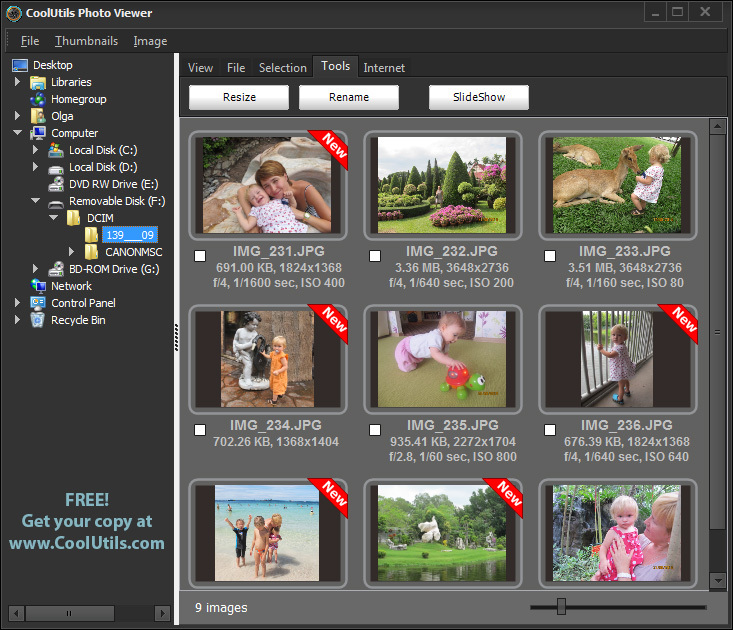 Copy or move your photos to any exisiting folder (you will see the folder tree) or create a new folder. 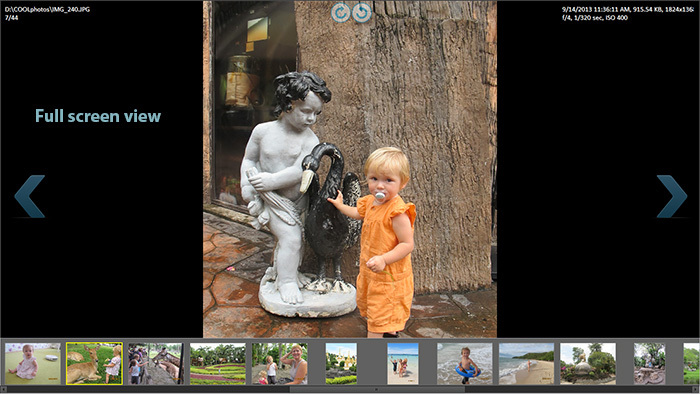 Rename, resize and rotate your photos. Delete bad shots right away, copy the good ones to the right folders, give new descriptive names instead of dull IMG_456.JPG, resize and rotate your photos with Coolutils Photo Viewer. 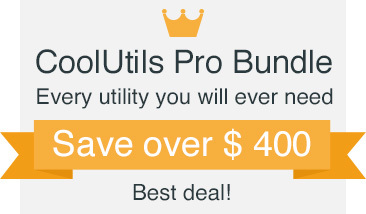 It's absolutely free, no toolbars, no paid upgrades, no ads. Try it now! View photos with EXIF tags. Save time, it's easy.